Woman leaves Islam after daughter is healed. NAIROBI, Kenya (Morning Star News) – A woman in eastern Uganda who put her faith in Christ is in hiding after her husband beat her for leaving Islam, sources said. Sophia Nakisaala, 35, turned to Christ on Aug. 7 after her daughter was healed when a street preacher she’d heard in Bulopa village, Kamuli District, prayed for her. 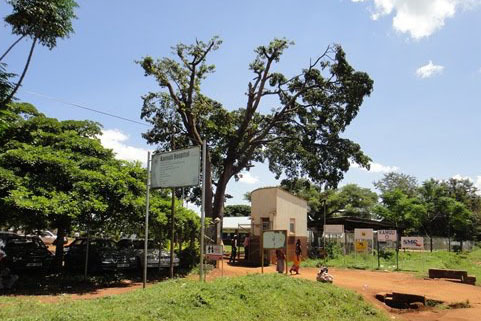 Kamuli is 143 kilometers (88 miles) northeast of Kampala, the capital. Nakisaala was on her way to Kamuli General Hospital with her ill 5-year-old daughter when she stopped to listen to the evangelist from an area church (undisclosed for security reasons). She later met with the street preacher, who prayed for her daughter. At home she told her husband, Muhammad Lubaale, about the healing of the child. He was initially inquisitive, but she stopped short of telling him about her new faith after he slapped her, she said. Word of the healing of their girl and Nakisaala’s subsequent faith in Christ later reached Lubaale. 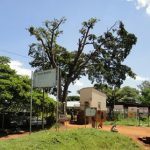 The following morning, while her husband was away, she gathered up her four children, ages 3, 5, 8 and 11, and went to an area pastor in Tirinyi Sub-County, Kibuku District. The pastor reported the attack to a local council administrator. The church has sent her to a place of refuge while she recovers, the pastor told Morning Star News by phone. Many of Uganda’s Muslims are concentrated in the eastern part of the country, where Morning Star News has documented attacks. Earlier this year Muslims began monitoring pastor Christopher James Kalaja of Nakabale village, Kaderuna Sub-County, because he filed a court case against those who recently destroyed his farm, home and church building, his wife told Morning Star News. Nine Muslims bearing swords, clubs and metal objects rampaged through his property on March 27, shouting the jihadist slogan “Allah Akbar [God is greater], Pastor Kalaja said. The leader of the 86-member Agape Sanctuary International Church reported the case to Kaderuna police, but officers initially took no action, he said. Unable to elicit any police help, on March 28 he filed suit in Budaka District court, which he said prompted police to file a case. After relocating his family from a friend’s hut to another unidentified location, Pastor Kalaja continued receiving threats, his wife said. The family has spent sleepless nights over anonymous text messages, his wife said. The incident is one of many recent attacks by non-state figures on Christians in eastern Uganda. The country is about 84 percent Christian and 14 percent Muslim, according to census figures.